Barks interviews from over the years 1962-2000. Many are either previously unpublished or from foreign or very obscure sources. Ranked among the most widely circulated, best-loved, and most influential of all comic book art, Disney artist and Scrooge McDuck creator Carl Barks (1901-2000) is recognized as the only comic book artist ever to receive a Disney Legends award. 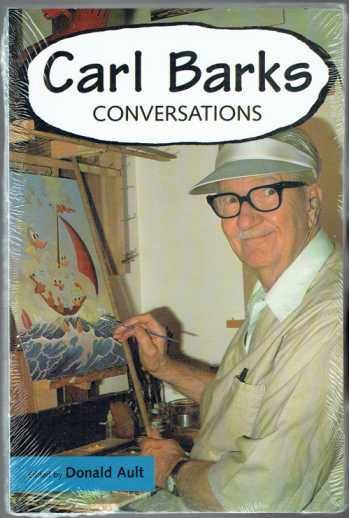 Through a series of intimate conversations and interviews with long-time friend and editor Donald Ault, as well as J. Michael Barrier, Edward Summer, Bruce Hamilton, and others, Carl Barks: Conversations reveals previously unknown information about the life, times, and opinions of one of the master storytellers of the twentieth century.